Today is the 10th. That means it's time for the Elle's Studio reveal (it's my birthday too). We'll talk a little more about my birthday tomorrow. I've got some photos that I know you'll love. 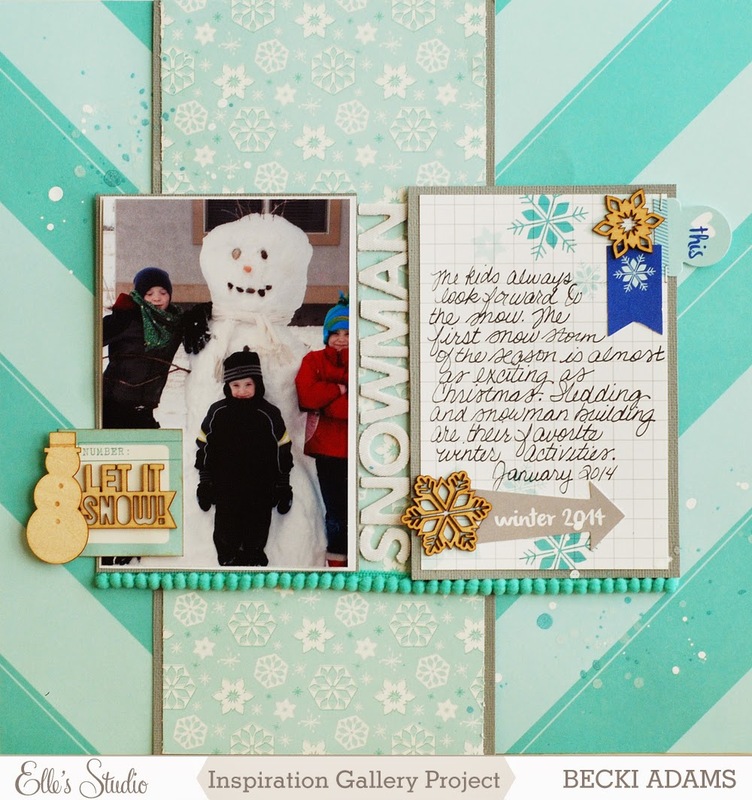 The first layout I created was using the November kit and the Good Cheer collection. I think the part of this layout that I love the most is the outlining I did with a black pen. That's not something that I typically do but I thought that it added another layer of dimension on the project. Don't you love the look on her face?!??! She was so genuinely excited and happy when she opened her doll. 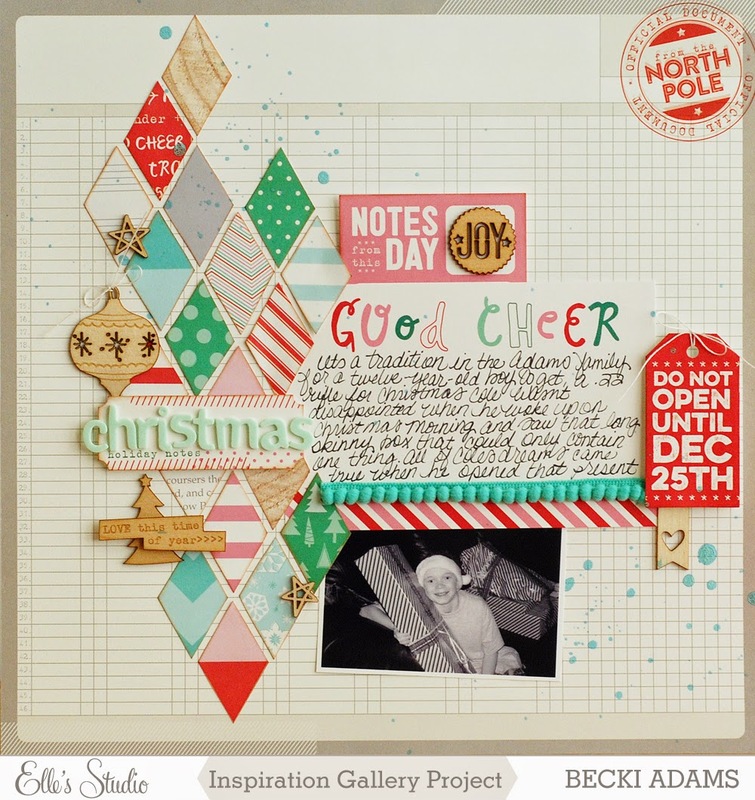 The second project I have to share is using the Good Cheer collection (and the Christmas Ephemera Pack. This layout documents my sons favorite present from Christmas 2013 as well. 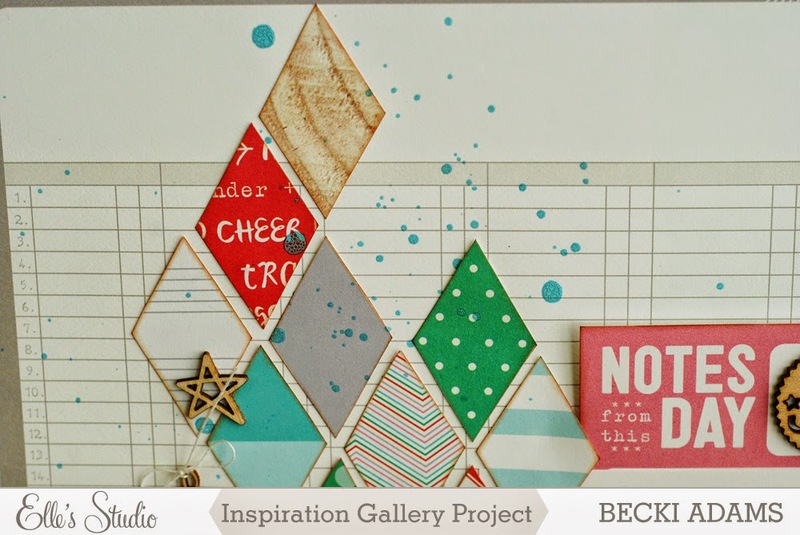 That diamond shaped patterned paper was so easy to fussy cut and made such a huge impact on the design of the page. 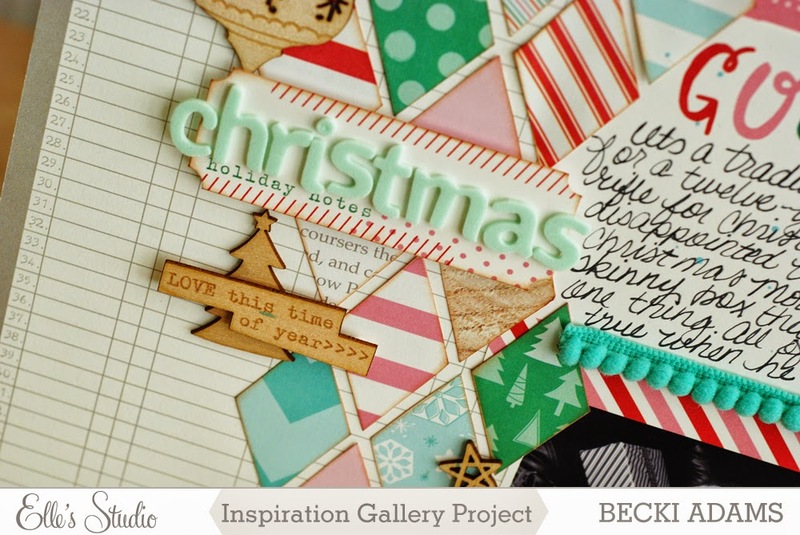 My last gallery project for this month was a project using the Good Cheer collection (it's almost Christmas, right?!?!). 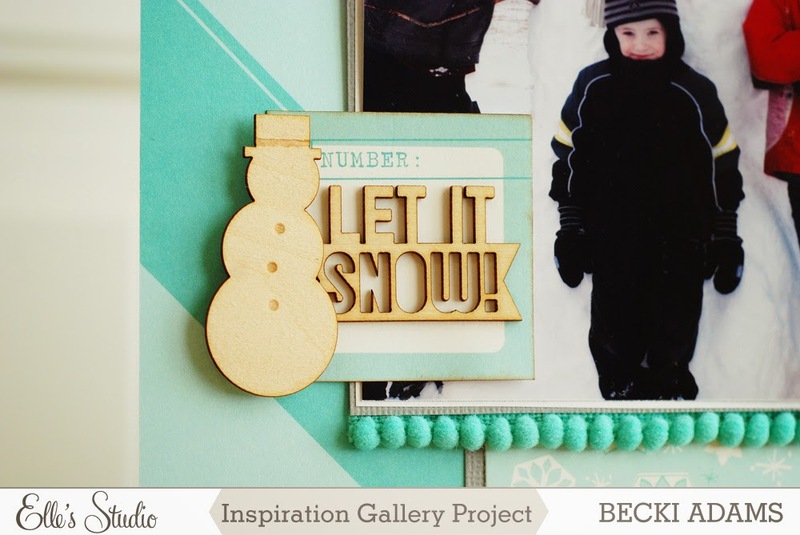 This one isn't really a Christmas project it's just a winter project. 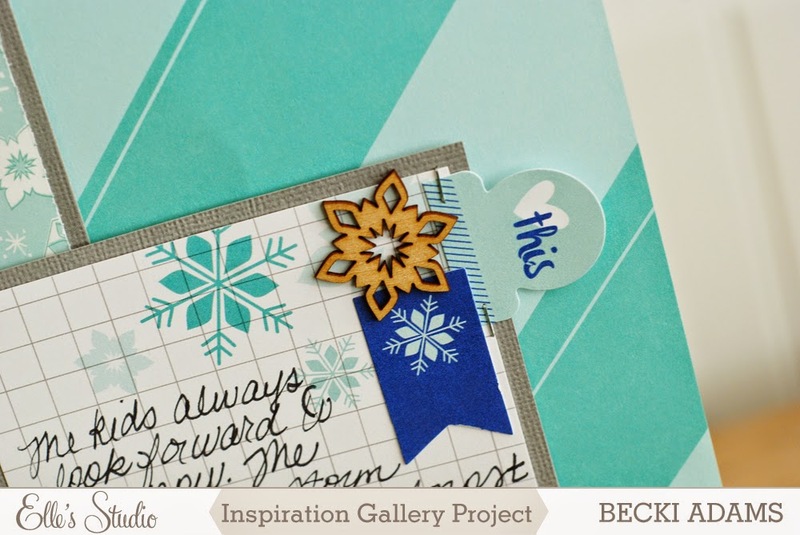 I used the Winter Ephemera pack on this one. 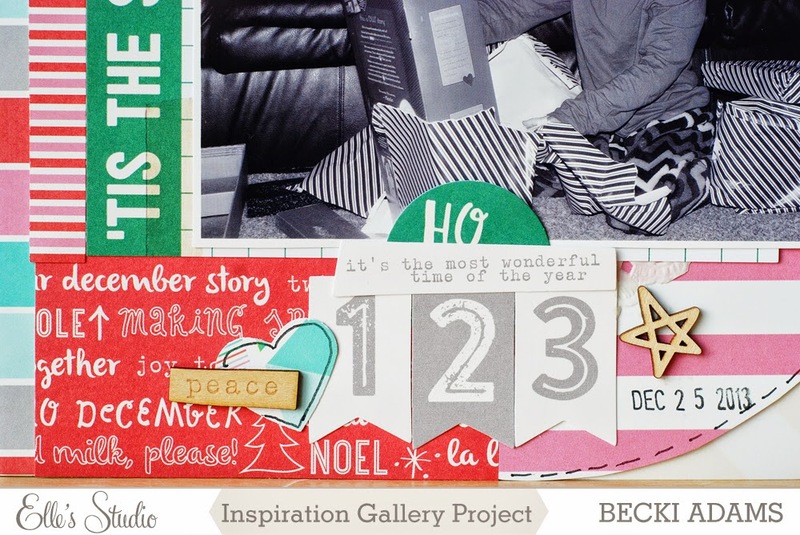 Head on over to Elle's studio to check out the entire design team gallery (and do a little shopping).